In my article "Why blocks DO work" I set out my arguments as to why traditional "blocks (better termed "parries", "interceptions" or "deflections") are indeed very effective. In that article I also discussed how the failure to understand and apply blocks correctly has led people to dismiss them as ineffective. 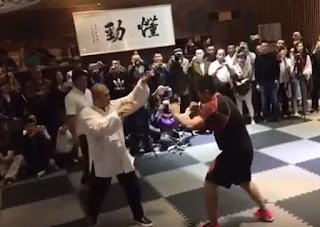 This in turn has led some traditional martial artists to reinterpret blocks as strikes, locks or holds in order to justify their continued presence in the traditional curriculum. One of the more sophisticated revisions in modern karate is the reinterpretation of block/counter combinations. 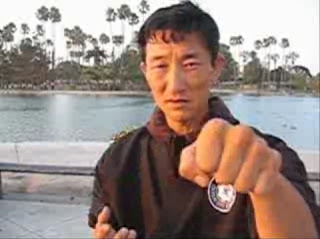 According to this theory, there are no such combinations in karate: rather, every block is itself a direct attack. The theory holds that there if you block, then punch, you cede the initiative to your opponent and give him or her the advantage. It is better to respond to every attack with your own attack - what is sometimes called the "one for one" principle. When one looks at it, this is another way of arguing all block/counter combinations should be "simultaneous". In Japanese this tactic is called "sen no sen" (simultaneous initiative). It is to be contrasted with "go no sen" (late initiative) which is what a block/counter combination would be. That sen no sen is an attractive proposition is obvious. There are myriad examples of it on the net and it looks awfully effective to thwart decisively an attack just as it is beginning. It is even more impressive to thwart the attack before it has even started - which in Japanese is called "sen sen no sen". But just how realistic are sen no sen (simultaneous initiative) and sen sen no sen (pre-emptive initiative)? Do these "simultaneous" options negate completely go no sen (late initiative as manifested in block/counter)? I have previously argued that the block/counter is a staple of karate. 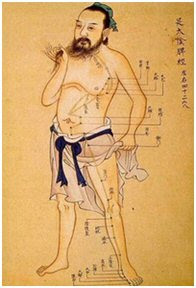 Indeed it is ubiquitous in almost all traditional Far Eastern martial arts, from shaolin gong fu and the internal arts, through to karate and taekwondo. The only real exception in the case of Okinawan arts is Motobu Udundi, which I shall examine shortly. So ubiquitous is the block/counter that it occurs in practically every kata/form/xing. Or does it? The revisionists would have us believe that things are not really as they seem: these combinations are not really meant to be applied literally. Rather they are a kind of "code", hiding the true application of each "block" as a simultaneous deflection and strike. I can't see why this revision is at all necessary. 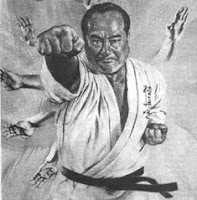 In my opinion, kata bunkai does not have to be twisted and contorted into strange paradigms just to accommodate the mindset that "block/counter doesn't work". Blocks don't require reinvention as strikes, locks or holds. Nor is the block/counter combination rendered redundant because of "simultaneous" responses. 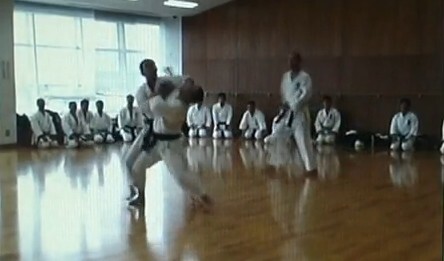 a "simultaneous" technique is generally capable of being applied in situations where a block/counter could be applied (ie. "simultaneous" techniques render block/counter combinations redundant). I shall proceed to show how each of these assumptions are flawed. Any response to an attack must, above all else, either comprise a counter or set you up for a counter. In this light it is essential that block/counter combinations be effected with as little delay as possible between the block and the counter. Any pause between the 2 is going to be exploited by your opponent. In other words, you must must make your block and counter essentially one move. 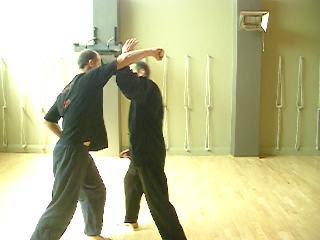 However this contrasts with a rather persistent practice, particularly in karate dojos, of separating a block from its counter, whether via "koshi" (hip use) or just with a pause. I discuss this issue in my articles: "Flow: why it is an essential component of kata" and "The importance of flow". Once such a connection is made, the whole issue of "ceding initiative" starts to disappear. In other words, the "delay" (such as it is) between a block and counter needn't be anything other than transient or minimal. where you use one arm/hand to deflect and counter at the same time (the "one-handed simultaneous block/counter"). 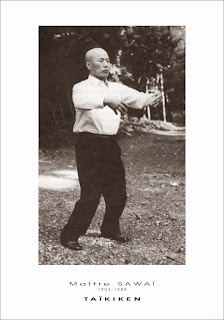 The 2 handed version of the simultaneous technique is not often found in karate but occurs in the Chinese internal arts of xingyiquan (eg. 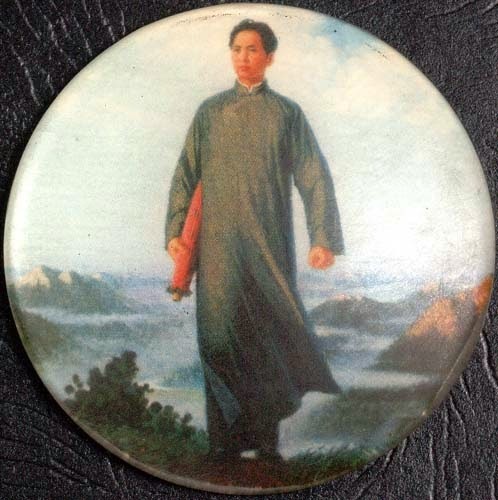 pao quan), baguazhang and taijiquan. As I discuss in my Part 1 of this article, the 2-handed simultaneous block/counter isn't really "simultaneous" at all. Why not? Because the deflection will always occur before the strike. You will note from the adjacent images that the deflection clearly precedes the counter strike, even if it is by a millisecond. In this respect the 2-handed simultaneous block/counter is no different at all from the "non-simultaneous" one I demonstrate in the gif above: the only difference between the 2 is that in the former I pull back my blocking arm, while in the latter I leave it in the blocking position. Otherwise there should be no appreciable difference in the time it takes to do either. If there is, then you're "doing it wrong" - it's really that simple. Your opponent isn't going to stand around waiting for your counter. He or she is going to seize the initiative. The exception to this is to be found in Motobu Udundi where the 2-handed block and counter is sometimes applied in a truly simultaneous manner. However this the case only where the response is pre-emptive (sen sen no sen) - in other words where the defender responds to an attack with his own counter as the attack is beginning or before it has properly started. In this case the "block" simply acts as a protective shield "just in case" and is not a true block/deflection/parry per se. The other option is the one-handed simultaneous block/counter. This is a strategy used extensively in Motobu Udundi. In its most conservative form it involves using your punch to deflect an oncoming attack. In its most advanced form it becomes pre-emptive: in other words you don't block at all - you simply strike your opponent as he or she is starting to punch. In this case it ceases to be "sen no sen" (simultaneous initiative) and becomes "sen sen no sen" (pre-emptive initiative). Putting aside the "pre-emptive" version for a moment, let us consider the "simultaneous" one. You have probably noted that I have usually used the word "simultaneous" in quotes - that is because I don't believe most "simultaneous" techniques are truly "simultaneous". Even with the one-handed simultaneous block/counter, the block is effected a millisecond before the punch lands. That said, the one-handed simultaneous block/counter is indeed more "simultaneous" than the 2-handed one: in other words, the delay between block and counter is reduced. And in the case of pre-emptive initiative, there is, of course, no block at all so the delay is zero. Why would one not use this approach all of the time? Why would one ever delay in countering? Another way of phrasing this question is: "Why not use attack as a defence in every case?" And this brings me to the third false assumption. How realistic are simultaneous and pre-emptive initiative? I'll say at the outset that I very much like simultaneous and pre-emptive initiative. Given the choice, I would rather use these than have to deflect an attack, then counter. My issue lies not with the desirability of these tactics, but rather with one's chances of applying them at all times during a fight. I can see how Motobu Udundi evolved: palace guards must be trained to defend the king/queen from attackers. Such attackers are likely to storm a royal procession or gathering - they are unlikely to be standing next to a royal at the local bar or arguing over a parking space. 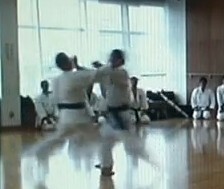 Hence in Motobu Udundi demonstrations attacks start well out of range. This gives the defender ample time to deal with the assault in a simultaneous or pre-emptive way. But it is my contention that most civilian defence attacks do not give you this luxury. Rather they begin (and end) in what I call the melee range (an immediate, close-quarters environment). I think it is self-evident that an attack occuring in such a range gives you far less time to respond simultaneously or pre-emptively, as compared with an attacker who is charging at you from a distance. evade and block at the same time (my preference and the proper approach of arts like karate). 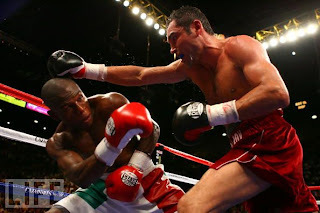 That you won't always be able to have simultaneous or pre-emptive initiative in the melee range is evidenced in combat sports: boxers and MMA fighters can't always "beat their opponents to the punch". Frequently they have to evade (they don't use blocks/deflections, but that is another issue). In other words, they can't always "seize initiative". Sometimes they have to respond. "And combat sports practitioners don't?!" 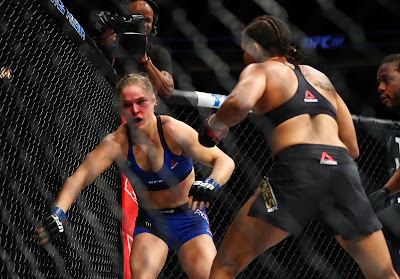 I am normally one to argue that combat sports do indeed have very different dynamics from civilian defence encounters. But in this respect I'm of the view that they are no different at all: whatever the nature of a fight, one thing is certain - unless your opponent is vastly inferior, you will frequently find yourself left with "late initiative". The idea that you will always stifle your opponent's attacks with simultaneous and pre-emptive attacks (and that you will never have to evade or deflect or both) is, in my opinion, so overly optimistic as to be fanciful. If anything, I would have thought that in a civilian defence you might have even less chance of using simultaneous or pre-emptive strategies. Why? One cannot assume that one's attacker is going to be obvious about attacking. He or she might be arguing with you verbally, or they might be merely standing there (seemingly innocently), before launching into a surprise attack. In my experience as a prosecutor, this kind of "sucker punch" tactic occurs far more often than any attack where an obvious telegraphing of intention occurs. If only attackers would oblige us with the opportunity to get ready by shouting "engarde" and assuming a ready posture! Even when we are fully primed, ready and waiting, an attack can still surprise us - at least enough to leave us with no option other than "late initiative". Accordingly, failure to prepare for such a situation by learning evasion and deflection (in favour of some kind of simultaneous or pre-emptive strategy) is, I think foolhardy. "I still think I can block and punch at the same time!" There are those who would argue that despite the reality of reaction times, surprise attacks and the range in which civilian defence encounters commonly occur, they have sufficient speed and timing to effect a simultaneous (if not pre-emptive) response. your handspeed is faster that that of your opponent. If any of these variables fail, your entire defence will likely fail. 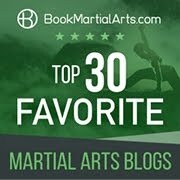 I discuss the double punch from naihanchi kata. Note carefully the angle required to ensure that the lead punch can effect a deflection - and how that angle differs from the optimum angle required for using the lead punch offensively. In the above video I point out that the lead punch can be used to deflect an oncoming attack while the rear can effect a counter (a kind of 2-handed "simultaneous" block/counter). Clearly, the first punch could be used offensively instead: I could choose to simply punch my opponent rather than deflect his attack. Indeed, I would do this if the opportunity presented itself. But if it didn't (and I were forced to resort to a deflection) I wouldn't necessarily try to use the deflecting arm for attack as well. Why? Because the optimum angle for deflection and the optimum angle for striking are 2 very different things. Yes, there are instances in which you can time/position your counter so that it both deflects and strikes at the same time. But this requires advanced skill; it is something to which I aspire, but I don't assume that I'll be able to effect it (at least not every time). As I have said earlier, I still find myself defaulting under pressure to the tried and tested "late initiative" of the block/counter combination, just as boxers default under pressure to bobbing or weaving and countering. you can take your chances with blocking and punching off the same arm (the one-handed simultaneous block/counter). In the case of the latter, you have to hope that your punching arm will deflect the attack because you can't rely on "beating your attacker to the punch": you simply won't have time. In other words, constraints of surprise, time and space often remove the "pre-emptive initiative" option. As discussed, the one-handed simultaneous block/counter is riskier than simply deflecting with that hand; your angle of attack/deflection has to be extremely precise. This tactic does however confer an advantage over the 2-handed block punch; it is undeniably faster and does indeed "seize the initiative" better than any 2-handed block/counter. Whether or not you default to a one-handed simultaneous block/counter is always going to be a matter of your own experience. I would expect a more senior student to utlise the "simultaneous" option more often than a less senior student. 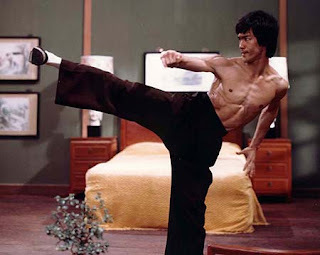 But I wouldn't base my entire martial art on the assumption that the "simultaneous" option is always going to work. The prison guard is clearly aware of the danger. He is given as much warning as anyone could realistically hope for in a civilian defence scenario. However the first punch thrown by the prisoner lands - and the guard is overwhelmed thereafter. What could the guard have done? 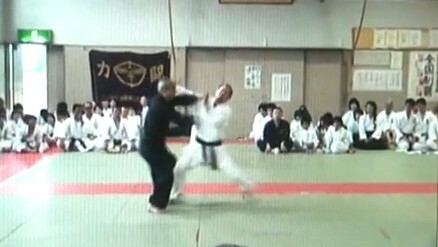 From the adjacent photo, you might argue that the guard could have straightened his left arm (ie. as if to punch) while raising it. But without sufficient momentum and against the committed cross this would have done nothing. The guard's hand might have reached the prisoner, but it would have done so without any real force. And the cross would have slipped over neatly and landed - even more emphatically than it did; any potential angle of deflection in the guard's arm would have disappeared completely. The problem with this prison guard wasn't in his failure to use "sen no sen". Rather it was that he had probably no training in relation to deflections: his body reacted as best it could, and his arm was perfectly placed to effect a deflection. But without any (or sufficient) training, his deflection failed. Alternatively (or in addition) he should have leaned his head further away to evade the blow: the distancing more than allowed for this. He could either have weaved, ducked or simply leaned. And if he had done the latter with a rising deflection he might have looked like the adjacent photo. Having avoided the first blow, he might have been set up for a counter which might well have utlised sen no sen; I'm not suggesting that the guard should have kept deflecting/blocking. At some point (preferably earlier) the guard should have gone on the offensive. But the initial failure of the guard's defence weakened him and set him up for a beating. There was no recovering from the first punch (which can determine the fight even if it isn't a knockout blow). So it is my view that this video is not illustrative of a failure of the block/counter concept. It is however a good example of the need to train for deflections and evasion - and of the relative difficulty in reacting in time to use simultaneous or pre-emptive initiative against a committed attack - even when you are "primed" or forewarned. Clearly one might argue that an experienced martial artist would have read the body language and positioned better to allow for pre-emptive or simultaneous initiative. But I think this argument underestimates just how much experience and training is required to effect this. Like it or not (and despite all my training) I have faced such punches and not "pre-empted" etc. Sen no sen etc. is great - but it's very difficult to effect. It is an advanced strategy, suitable for advanced students. We should all strive for it, but we shouldn't expect to pull it off every time. As a fairly "senior" martial arts practitioner (approximately 30 years), I can see the attraction of "pre-emptive" and "simultaneous" initiative and I am more and more inclined towards these tactics. However as a teacher I tend to view things from the perspective of what my students are going to find useful. Most of them have only a couple of years experience at best. I have previously mentioned my idea of "sequential relativism". This underlies our syllabus which moves from "basic" (but effective) "go no sen" to the more advanced "sen no sen" to the most advanced "sen sen no sen". I have put "basic" in quotes because I don't consider "basic" to mean "ineffective". "Effectiveness" is always going to be relative to a student's skill level and experience. In civilian defence your primary goal is not to "score a knockout" but not to get hit. You should do whatever it takes to achieve this goal. you beat your opponent to the punch (ie. your strike lands before his attack does, "cutting his supply line" and removing the need for any deflection) - which I happen to think is very unlikely against most attacks given the logistics of standard reaction times and that you will usually be "second cab off the rank". Accordingly, while "advanced" simultaneous and pre-emptive strategies confer certain advantages, they also carry significant risks. And while we should all endeavour to use such strategies, I think it is dangerous to dismiss completely the humble block/counter in favour of them. Sometimes the simple things in life really are the best. Continue to Part 3: a case study. Excellent article...I agree, students have to learn the block/strike skills before going for pre-empts. A pre-emptive strike won't work unless you have the mechanics, reflexes, and mental ability to make such an attack with confidense. Don't forget Joshua: you also need the opportunity to pre-empt. Attacks don't always come with enough warning to allow this! You're correct that students need to acquire considerable skill to make "attack as defence" work. This means that the humble "block/counter" isn't just an annoying basic step you can quickly by-pass. It has a more important, longer-term function as well. Very good article. I have wondered for the past few years why in training Kihon drills everything is block and counter and seperated from movement to movement. It was the one prickly thorn when training I never understood. I consider simultaneity to be a basic principle goal, one that can be accomplished whether one utilizes pre emptive attacks, sen no sen, or go no sen. The time efficiency of simultaneous attack and offense movements is too important and vital to restrict it to a limited encounter folder. 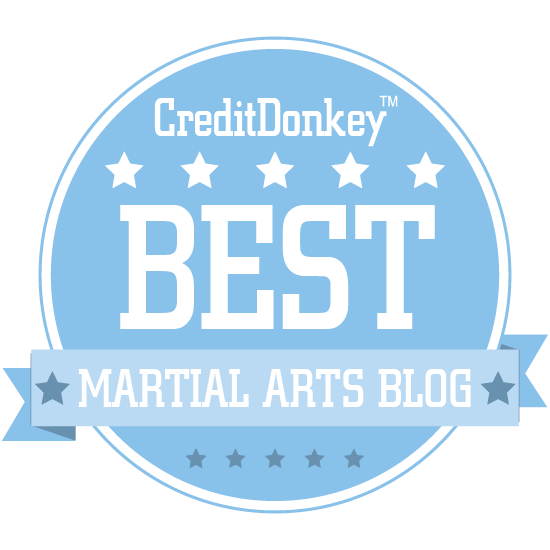 I wonder why you didn't mention this post in a previous topic concerning attack vs defense. It would have been useful as a background datum. "Any pause between the 2 is going to be exploited by your opponent. In other words, you must must make your block and counter essentially one move. " If there is a gap in time that can be exploited, then it doesn't meet the qualifications for simultaneous offense/defense. It is less important that two things "happen at once" and more important that "attack and defense" happens as one. In the karate video, sen sen no sen, sen no sen, and go no sen, essentially are all supposed to use simultaneous offense/defense, but the pre emptive one obviously uses more ratios of offense over defense, because offense happens "first". The technique in your gif uses a partial trap and deflection to buy enough time for the subsequent counter attack. This is not literally simultaneous but it adheres to the concept of efficiency. It accomplishes defense and attack at the same time, thus it is simultaneous in one fashion but not literally. Some things literally cannot happen at the same time, but by making them more efficient, one can make them connect in a smooth transition. A linear progression rather than a series of stops and starts. That is a simultaneous offense/defense principle/goal. Just making "two things happen at the same time" is not very useful. In fact, if one can make offense happen at the same time as defense and it works, then defense was unnecessary. They could simply concentrate on the offense. Power is divided by time. If something happens at the same time, obviously power is divided amongst those things. To concentrate and focus power, effectiveness, one needs to focus on one task at a time. But time efficiency and simultaneous principles of offense/defense requires that one meet the requirements of both defense and offense, without any waste of time/energy. And that is the skill of timing. Preempt, sen no sen, go no sen, all are efficient, if done with the right timing. As for pre-emption, one should take care to learn these skills if they want to have time to prepare. Link, if I forgot it above.